MAN large crane from the Copenhagen Fire department. Truck based alternative to a Krupp or Liebherr custom unit. 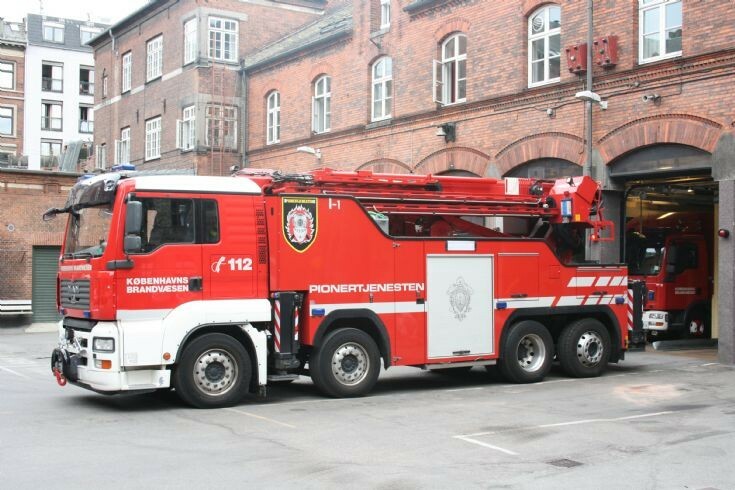 Expensive 8X2 rear steer chassis, also seen under Bronto 42M platforms, but a lot less costly than a custom crane, even though it is probably at the lower end of the weight range? Similar units are to be found in other European countries, including France, the Netherlands and Belgium. Others use similar size Mercedes, Iveco or Volvo chassis. Added by Rob Johnson on 28 May 2017.